Windows come in various sizes and designs to fit in their environment. 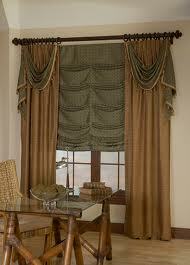 Using the perfect window treatment style will enhance windows and add beauty to the abode. Depending on the room and furnishing style window decor can be simple in a minimalist cover style, or elegant with fancier treatments. When choosing a treatment style one should take into consideration the use of the window and the decor to blend the beautiful window adornments to fit perfectly with the inhabitants’ lifestyle. 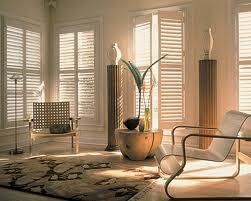 Shades and shutters are perfect to decorate a window with a minimal treatment to fit any decor style. 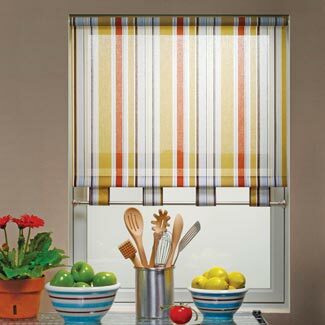 Roll-up shades installed inside the window frame are the most commonly used, available in inexpensive, easy cut-to-size vinyl to custom shades made fabric to coordinate with decor finishings. Blinds and pleated shades almost disappear when fully raised and roman shades gather fabric in folds as they are raised for a beautiful window. Purchase shades that lower from the top providing one with both sunlight and privacy. Country style shutters attached to the sides of the windows are ready to be swung out to expose an open window or leave closed using levers raised or lowered for sunshine and privacy. Drapery is a formal window treatment style to compliment an elegant decor crafted from a heavier weight fabric and lined. This style can be installed and hung on rods with rod pockets or pinch-pleated at the top to be hung with hooks or decorative rings to create beautiful and fashionable windows. Drapery does not have to be just for a formal decor, built-in grommets at the header of the drapery will complement a contemporary home. Elongate a room’s height by hanging the drapery from the ceiling to the floor. 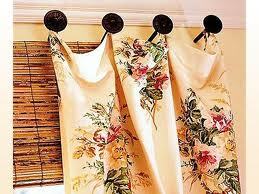 Drapery will add a wonderful element to the decor wowing visitors as they enter the room. Unlined and hung on a rod using a rod pocket header, tabs, grommets or curtain rings, curtains are an informal cousin to drapery. 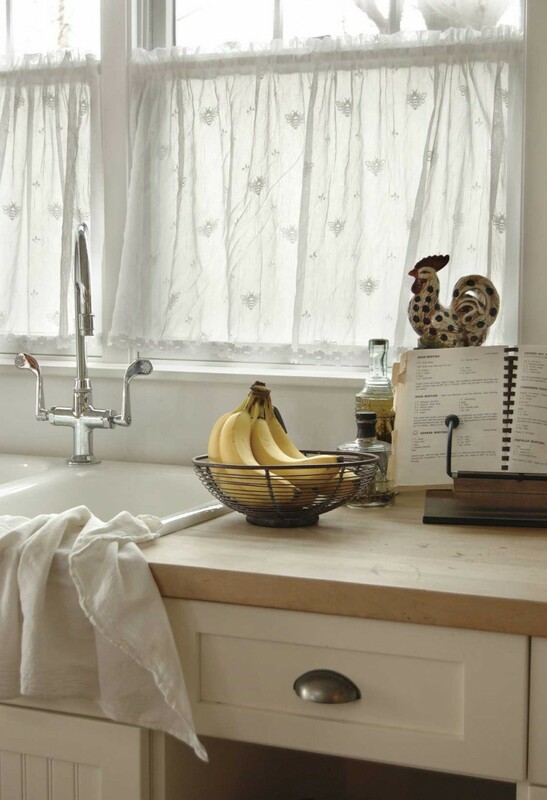 Curtain treatments are the perfect style to dress your bathroom or kitchen window. Create a fun look by using a cafe curtain to only cover the lower half of the window; this will provide a softness and privacy to the decor. Tier curtains work in similar fashion by adding a second rod at the top of the window to match the cafe curtain with a valance. Layering window treatments will create a beautiful designer appearance to the decor. Add a lovely sheer underneath for softness when the draperies are opened. 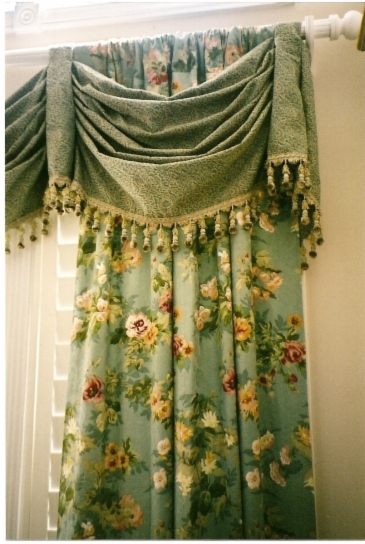 A valance or cornice will make the perfect partner for a shade or rods to disappear into. Placing a sheer or lace curtain over a plain vinyl shade creates a lovely flowing window treatment with privacy. 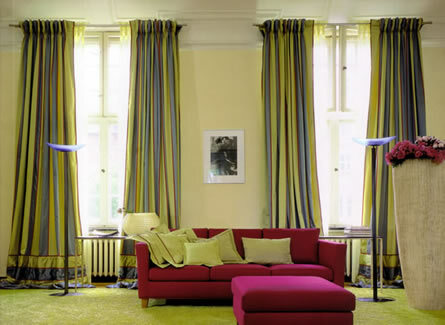 Layer shades or drapery with a formal draped festoon matched with jabots for an elegant appearance. A scarf softly draped at the top of the window is perfect for the informal relaxed look over drapery, curtains or shades. Just as one completes an outfit with the perfect belt or necklace, a lovely style choice of window treatments gets an additional decor touch with the appropriate accessories. 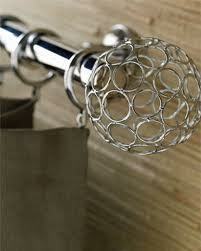 Rods come in different diameters and materials; add beautiful finial ends to show off the window treatments. Holdbacks act as if a piece of sculpture to frame pulled back drapery. For added privacy use a decorative film placed onto the window glass to replicate etched art. 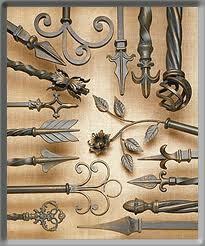 The proper accessories place the finishing touch to compliment any style choice of window treatments. Windows are the eyes to the world; make them up to be flirty and beautiful. 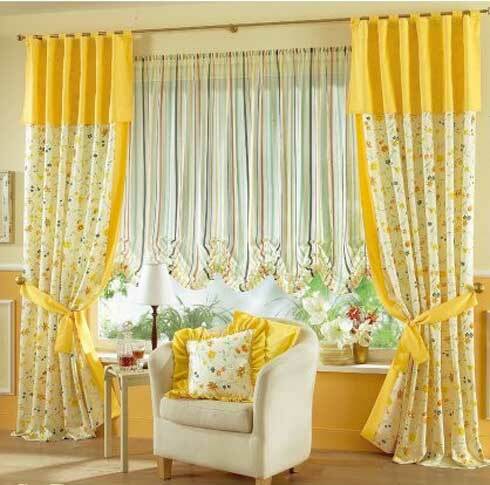 Have fun adding new excitement to the abode’s decor by dressing up the windows. Never be afraid to dance. Subscribe and enjoy reading all of my articles under the titles of Interior Decorating, Long Island Interior Design, Decorating, Arts & Exhibits, Lifestyle, as well as General Pets, Fashion Trends, and Long Island Prepper written for Examiner.com.